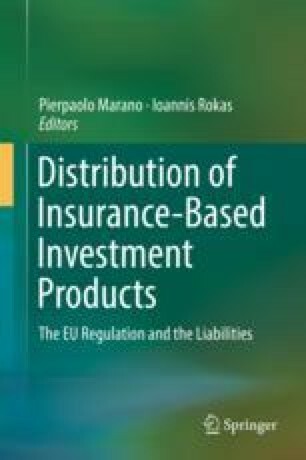 This article aims to offer an overview of insurance-based investment products, as they appeared in practice and subsequently regulated by the national and European legislators. It further aspires to provide guidance on the specific elements and risks inherent to such products from a European legal point of view, which distinguish them from other traditional insurance and investment products. Practical examples are also included in this article, which are, though, merely indicative of the forms that insurance-based investment products can take.